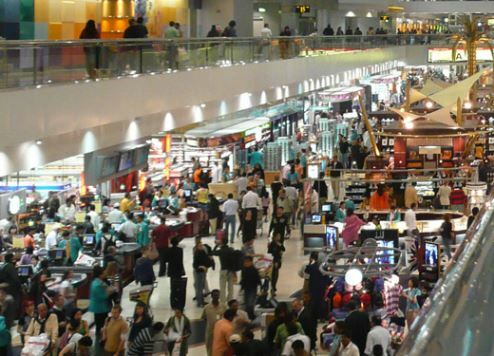 Dubai Duty Free (DDF) has topped global retail sales charts, its CEO has revealed. Sales at DDF's outlets are more than double those at other duty free outlets globally and the airport retail giant’s sales per square metre now surpass Apple’s best performing store in New York, Colm McLoughlin has told local media. DDF sales reached $1.82 billion in 2016 with 74,097 sales transactions taking place on average per day across its outlets at Dubai International Airport (DXB) and Al Maktoum International Airport (DWC). Retail sales reached $70,000 per square metre per annum (sqm pa) compared to $34,000 per sqm pa on average in other duty free outlets worldwide. A comparison of the DDF return on sales figure with other major departmental and retail operations around the globe revealed DDF retail space even performed better than Apple’s top performing store on Fifth Avenue in New York, which is considered to be the world's best. “When we found these figures, we did a study as to how much other department and retail operations around the world do,” said McLoughlin. McLoughlin also revealed sales at DDF’s Apple-only shops surged 51 percent last year with total sales reaching $65.39 million. DDF, the single largest airport duty free business in the world, expects sales to reach $3 billion by 2020. This will be achieved through expansion, with DDF’s retail space reaching 80,000 square metres by 2022 – more than double the current floorspace. The retail entity will then have 9,000 to 10,000 staff on its payroll.